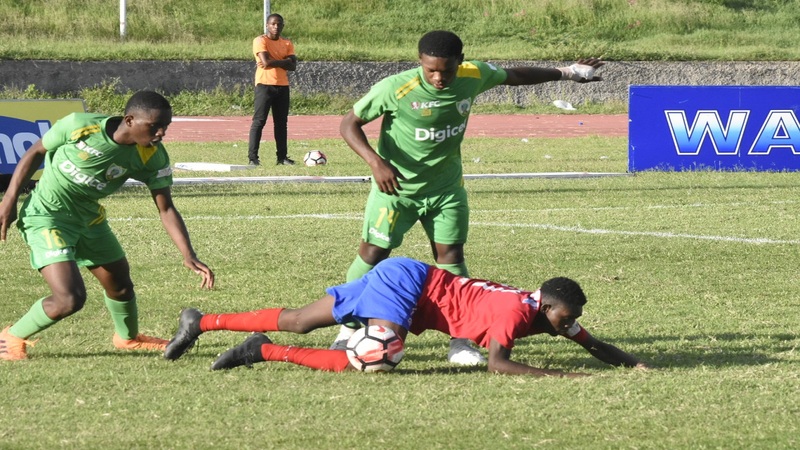 Action from the ISSA/Digicel Manning Cup first leg second round match between Camperdown High and Excelsior High at the Stadium East field on Tuesday, October 16, 2018. Camperdown won 1-0. (PHOTOS: Marlon Reid). 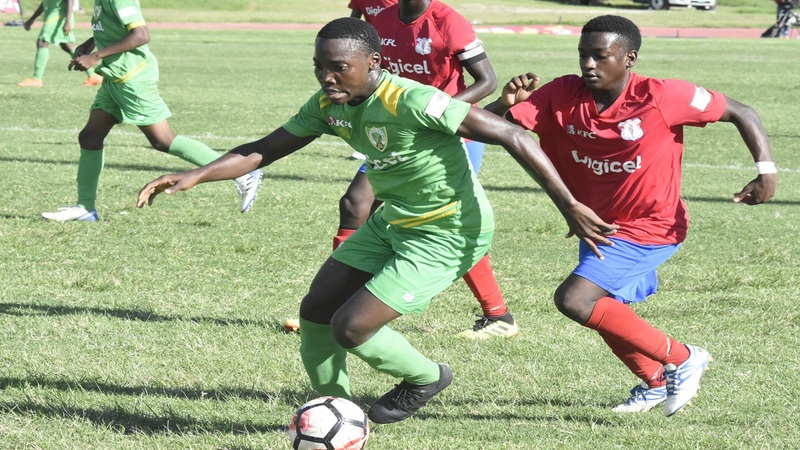 Camperdown High defeated Excelsior High 1-0 in their first-leg match on the opening day of second round action of the 2018 ISSA/Digicel Manning Cup competition on Tuesday. The game was the second of a doubleheader at the venue. In the earlier match, Wolmer's Boys defeated Denham Town High 1-0 in their first-leg game. An 86th minute penalty from substitute Basil Treleven won the match for Camperdown High to take into Friday's second leg at the same venue. Camperdown High had the better of play for most of the first half. 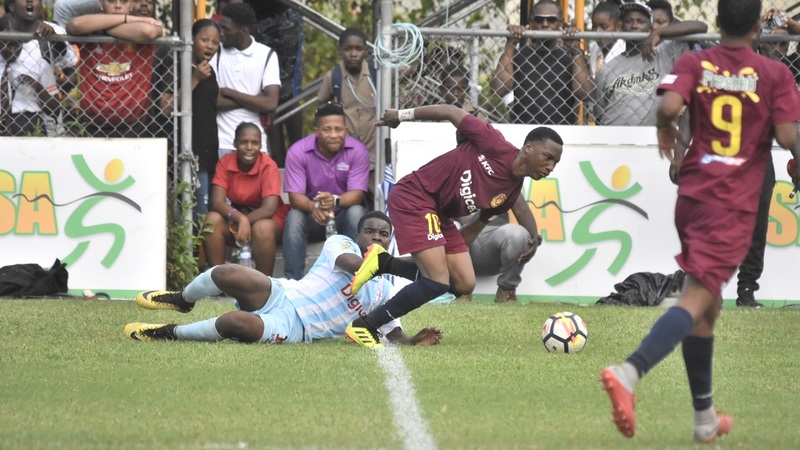 The Christopher Bender-coached team muffed an early opportunity to take the lead when Ronaldo Edwards' penalty was saved by Excelsior's goalkeeper Javaughn Bbalai in the first five minutes. Camperdown had won the spot kick after the goalkeeper broke up a Camperdown break by fouling Ziddan Braithwaite inside the penalty area. With both teams in a tussle for midfield supremacy for most of the half, Camperdown High got the only other real opportunity when Bbalai left his line too soon for a long ball played to the left of the penalty area. Ronaldo Edwards seized the opportunity to fire a shot at goal, which went just wide of the left goal post. 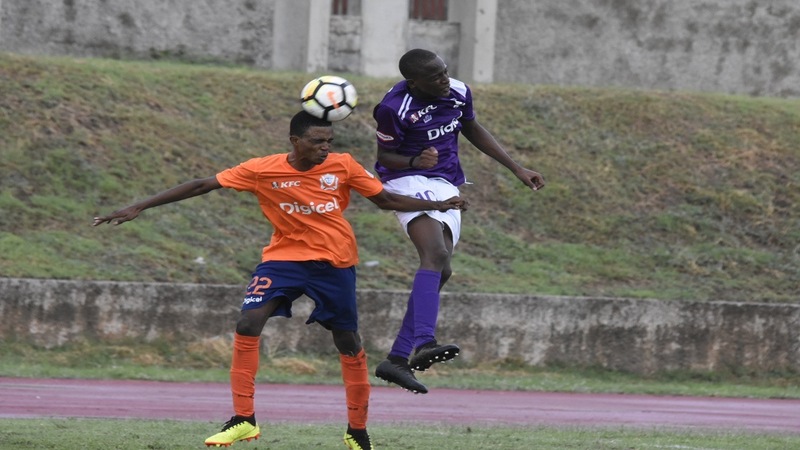 Camperdown continued to dictate the action in the second half as they maintained a presence in the Excelsior section of the field going close on a number of occasions. Camperdown eventually took the when defender Ronaldo Clarke tried to control a long ball on his chest inside the 18-yard box. He only succeeded in providing a pass to Shaqueil Bradford, who successful went around him and brought goalkeeper Bbalai into action. For the second time in the match, the custodian challenge was deemed a foul by the referee with Bradford suffering an injury that resulted in him being substituted immediately. Treleven stepped up to the spot and sent the grounded ball to the left of Bbalai, giving him no chance this time around. Kingston College (KC) and St Jago High got their second round campaign off to winning starts. KC defeated Cumberland High 3-1 in their first leg fixture at Prison Oval in Spanish Town. The game was the first of a doubeheader at the venue as St Jago High stopped Holy Trinity 2-0 in the second game. The second round has 16 teams, comprising of the first two schools in each of the seven preliminary round groups and the best third place team/next best third place team. The round is being contested on a head-to-head home-and-away basis with the winner on aggregate moving on to the quarterfinals. If the score is tied after both legs, penalties will decide, which of the teams will advance.